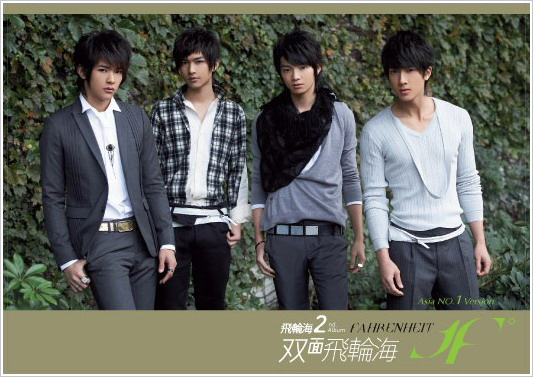 Wu Zun is part of Fahrenheit, an extremely popular Taiwanese Boy Band consisting of four members him, Arron, Calvin and Jiro. They were formed in 2006, under the management of H.I.M. Most of the band members shot to fame in the TV series called [KO One] whilst Wu Zun made his debut in the series [Tokyo Juliet]. 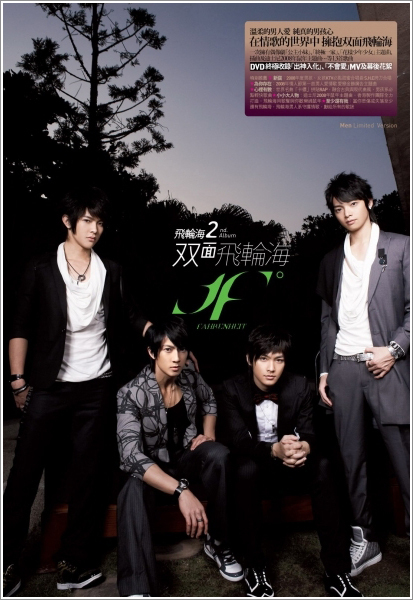 They quickly became one of the most popular boy bands in Taiwan, and released their debut album on the 15th of September 2006. It was a huge success in both Taiwan and overseas. They have received numerous awards in the past year, including awards such as Best Newcomer Bands and Best Duet for their famous duet with Hebe from S.H.E called [Only have feelings for you (只对你有感觉)]. Wu Zun was born in Brunei and was a former model and a gym instructor. He opened his own gym, Fitness Zone (Click on link to view Fitness Zone's website) at The Mall in Brunei after graduating from RMIT in Australia. He modelled in Singapore for a month and was talent scouted by a modelling agency in Taiwan so he flew there for his modelling projects. It was by chance that he was discovered by Ella Chen's (member of S.H.E.) sister while watching a movie. Ella's sister found him pretty good looking and introduced him to her producer-boyfriend. This was how Wu Zun stepped into the entertainment industry. He only modelled for a month in Taiwan then. As he was from Brunei, his mandarin wasn't very fluent when he began acting thus his voice was dubbed in his debut drama, Tokyo Juliet. 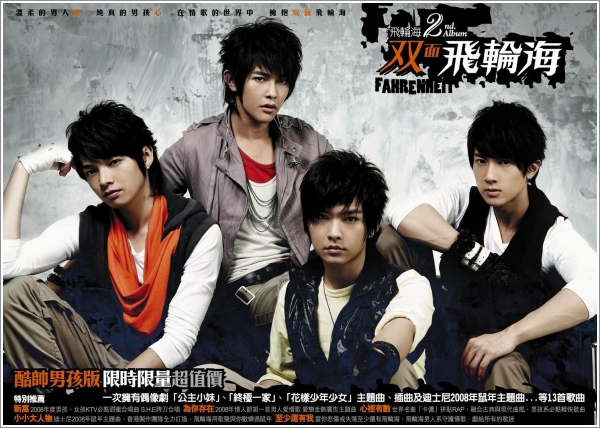 He was known to be pretty quiet in Fahrenheit but he proved all wrong when his mandarin began to improve and turned out to be a rather hilarious member. As his mandarin improved, his voice need not be dubbed in his newest and most popular series Hana Kimi. Although he is only a newcomer, he has already scored himself 2 lead roles with the hottest actresses around, Ariel Lin Yi Chen (whom he partnered in Tokyo Juliet) and Ella Chen (the female lead of Hana Kimi). Working with both have caused various rumours being stirred, especially about him dating one of them. Yet, he has calmly responded he is merely 'just friends' with those two. Wu Zun has also appeared in several magazine covers, including PLAY, COLOR, Fans and even CASHBOX. And not only did he appear once, but more than twice for magazines such as PLAY (excluding the times he appeared with Fahrenheit). His good looks and hot body has earned him the nickname of An Angel's face, yet a devil's body. He regularly tries to work out to keep his body in shape, but has sadly been unable to do so with his tight schedule, yet tries to fit them in into any spare time he has to keep up the body and prevent himself from gaining weight. As, all the dearest Fans of Wu Zun would know he is a food magnet (where he is attracted to the food). finally..a thread of his own !! is there anyway you can fix these letters? 吳尊 ....they're confusing, do you need help with typing in chinese? Nope I know Chinese. It has to do with your encoding. Did you enjoy your Chinese New Year holidays??? Well, I believe most of you are aware where i went for my holidays, right? I think i just couldn't keep any secrets from all of you huh... haha!!! Anyway, many of you might be wondering why do I've chosen Melbourne and Sydney as my holiday destination!! Well, I think its because I missed the experiences when I was studying there and also the places that I used to go to especially some of my favourite restaurants…Yum Yum! My top priority for this vacation was 'food' so 1 week prior to my vacation, I have planned out which restaurants I had to go each day in my diary... haha! To sum it up, I went to many familiar places and it really brought back lots of wonderful memories... There was even a time when I thought of not working anymore and to take up a Masters degree... haha, just kidding!!! I'm gonna miss you guys if i do that, right? So, do you want me to share with you guys what I did during my vacation? Well... I took a lot of pics and also asked my cousin to take videos on some parts of my journey! Although I still need to work during my trip, I never thought it was such a bad idea at all coz its an opportunity for me to let you guys understand me more and its great to show you the places where I spent most during my 5 years of UNI life! I don't know why but I Felt you guys are really a part of me now as I feel great to be able to share part of my life with all of you but I'm really afraid when I get real busy in the coming months, I don't have time to do that anymore and I do hope you guys wont blame me if this really happens! Anyway, I'm think you guys will be able to watch the pictures and video taken during my trip on the news in the coming weeks! I'll be off to Taipei very soon and I will start to become very busy again as there will be commercial ad shoot, preparing myself for my upcoming drama, the release of Fahrenheit 2nd album and I am also very excited about POND’s activity at Luxy on the 13th of March. I am very excited as this is the first time where I will meet the participants one by pone and chat with them during the activity but I guess I don't mind sharing my vacation trip with them. All you need to do is to go to Pond's activity Website （http://tw.match.yahoo.com/pond.html ) and Register! Oh... One more thing, I did read the messages from many of you and I realised there are people out there who've made use of my name name to open up their own blog. All I want to clarify is that I only have one personal blog, which is www.wretch.cc/blog/wuchun10cool. So, pls don't be misleaded, ok? One last note.... Chinese New Year is almost over so make sure you can get over with the holiday mood and get yourself ready and excited to face whatever challenges that will come to you in 2007... Go, go, go!!! Thanks for all the encouragement you guys have given me and remember to give encouragement to the ones you love whenever there is a chance too, ok? Wu Chun is going to HK upon TVB's invitation this Sunday to promote the drama Hana Kimi. Well-done and please keep it up!! My friends have totally gone crazy over him. Hah, i was watching hana kimi, he's rather cute and handsome in there, but i prefer jiro. He's such a funny richard simmons. he is seriously one of the hottest mando boys i have seen in a long time. wow, so many images from their auto session at IMM & TM. darn crowded. i went there but couldn't even get a glimpse of them. anyway back to the topic. wu zhun is indeed a hottie. pretty face with a hot body. woot. hot hot hot. the hotness. he is really the better looking guys in this generation. His good looks and hot body has earned him the nickname of An Angel's face, yet a devil's body. ^That is so true. HOTNESS! Didn't know he opened his own gym. At least, if things don't work out for him in the entertainment industry later on, good to know he has something to fall back on. Thanks for creating this thread. Keep up the great work on posting info on him! And, pictures!! he's pretty much gorgeous. i love him in hana kimi and tokyo juliet. Haha Angel's face and Devil's body = so true. A Wu Chun (Zun?) thread! I seriously love reading his blog. I'm always checking for updates and am amazed when he has thousands of messages in a couple hours after he posted. I love that he posts English translation.